Today's Question (from host Wendi): Were you aware of the Early Reviewer Program? Have you received any books from the program? If you have, how have you liked the book(s)? Any other thoughts on the LTER program? I love the ER program. It has been very good to me, awarding me 10 books since I joined in April 2008. Here is a list of all the books I've snagged, some number of copies vs number of requests info for each book, and my thoughts and LT rating for each book. 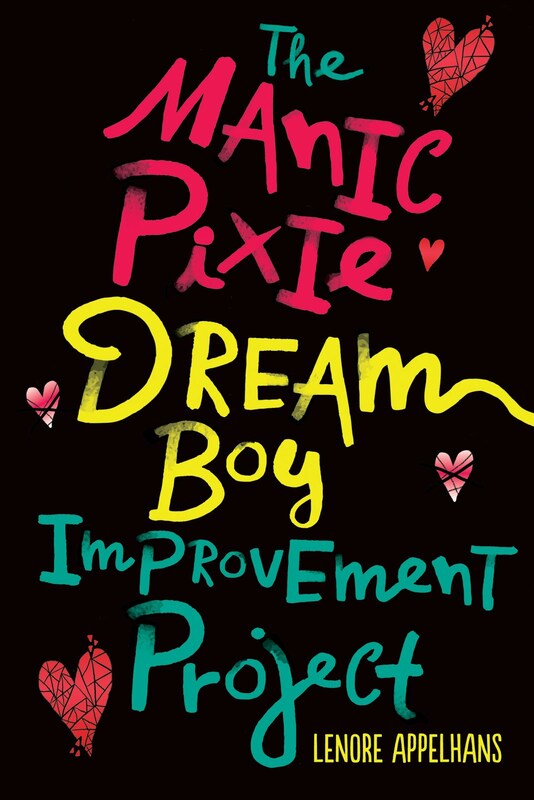 (If the title is a link, it leads to my review of that book here on my blog). This was my first book in the ER program so I was really excited to get it. I had a hard time getting into it though. I gave it 3 stars on LT because the female writer/friendship aspect was appealing. Wasn't too sure about this one - it actually wasn't my first choice - but I ended up loving it and gave it 4 1/2 stars on LT.
Also wasn't my first choice but it became one of my favorite reads of 2008. 5 stars on LT. Maybe the algorithm knows me better than I know myself? Also not my first choice. Even though there were parts of this I thought could have been cut, I did enjoy the blend of history and myth and gave it 3 1/2 stars on LT. This was my first choice and I was super excited about it because I loved The Eight. I didn't think it was a worthy follow-up however, and I gave it 2 1/2 stars on LT. I ended up liking this a lot more than I thought I would. Mostly because I thought the characters were so well drawn. 4 1/2 starts on LT. This was my first choice and I was estatic to get it. I had really high expectations for this, and was a bit disapointed, even though I did like most of it. 3 1/2 stars on LT.
My first choice and great read (despite a subplot I didn't like). 4 stars on LT. I just found out today that I snagged this February book after a couple months of getting nada. YAY! Emmy's keeping warm - how about you? wow, you've been lucky with the ER program! And lol, I love the picture. That's exactly how my cat spends his days. We put a blanket over the heater for him too. First of all, I'm very impressed with your record keeping and your success in the ER program. Second of all, I'd say Emmy is one pampered puss. Emmy looks very pleased to be there! I've received 9 books from ER and I've been really happy with the program too! I didn't win a book this month, but it's the first time in a while, so I'm not complaining. I just found out I got one today! And it was a total surprise because I still have one from Jan I haven't read, I thought that would put me out of the running. I came to your blog like 5 times already today looking for Emmy, no joke! That's quite a record of books received. I had hit a dry spell, but looks like I got lucky again this month. That is such an adorable photo! 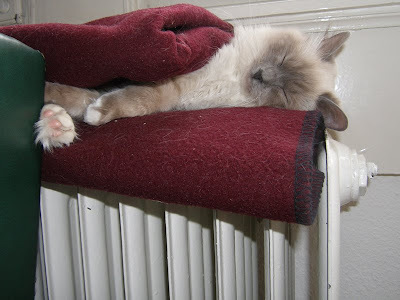 Our kitties used to like to sleep on the radiators and underneath them, too! Oh my goodness, what a pumpkin your wee Emmy is! That looks exactly how I'd like to be at the moment: curled up in a binky and fast asleep in my 3rd or 4th dream. A most excellent ER list, too. Fun bookity surprises by mail always make my day! Sleeping on top of the radiator! The ER program has been OK to me. I've gotten only a couple of books from them....though one I adored and one I did not. That's a good record! I do hope that by and large the people who review promptly are being rewarded. Emmy is gorgeous, and clearly very clever to settle in such a good spot. I agree, Lenore - the time I've spent tagging and reviewing my books has helped me snag a lot of good books. That and timely reviews. You've gotten some great books! My goodness that is such a sweet pic of Emmy. She looks so content. I turn on my snuggly blanket at night and Buddy cuddles up right against it-he loves it and I love the cuddles. I've been trying forever to get a book from Goodreads which has a similar program. Still nothing yet. You're so lucky! I've been lucky with the LT program too! I had to break down and buy Tomato Girl with all the good things I'd heard about it. I've received 10 as well, counting one in Feb. after a couple of months of nothing. I started in Feb. 2008, and I've thought I was freaky lucky...you're even freakier luckier!! Emmy is absolutely adorable....and right now I'm freezing! All we've had for the last day was pouring rain, high winds, and pounding hail. Brrr! Awwww...Emmy looks so comfortable! I'm jealous - it's freezing where I am at! I can't wait until it warms up and stays warms! Wherever Emmy is, I want to be there. In fact, I am getting up from this computer where I've been glued for days and I'm going to go find me a read blanket and some heat. this picture of Emmy is the bomb! In fact, it's now the wallpaper on my computer! Have you and Daniel picked out a name yet for the new kitty coming your way? Or are you waiting until you meet him? That is such an adorable photo of Emmy! no book for me...again this month from ER. But I have received 10 since I started with the program, so how can I complain? OMG! My sister's name is Emmy and she just LOVES cats! I'll have to send her a link to see! Aw! My cat doesn't really like to be covered up but when she gets cold enough she'll go get under the bed blankets. I loved The 19th Wife, and am so excited to hear you have had such great success with ER!